Have you always wanted to have a go at working with clay? This autumn Carys Evans and Lisa Rosemann are offering a series of hands-on hand building workshops for adults and children at Bridge Pottery. Join us for a morning of being creative and having fun! 11.00am: Micki in conversation with Alex McErlain, followed by a walk around the exhibition, looking at and discussing individual pieces. 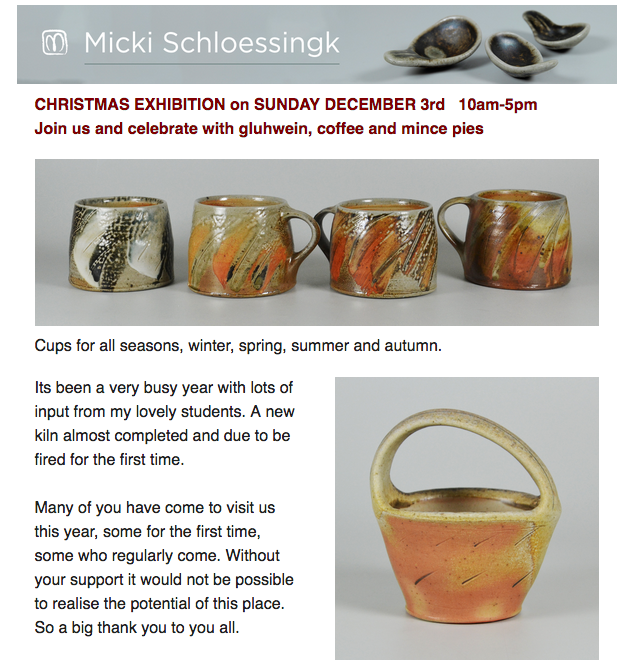 1.30pm–3.30pm: Micki will demonstrate making, turning and slipping, various different vessels from which to drink tea. She is known for her faceted tea bowls, yunomis; will discuss the winter and summer chawan and will demonstrate the making of her dimpled cupping bowls. Please join us for gluwein and mince pies and possibly some Gower brownies! Plenty of new pots from our winter firing. The Exhibition will be opened by Professor Geoffrey Crossick, Chair of the Crafts Council of great Britain. I am also doing a talk and demonstration at Ruthin Craft Centre, Sunday 13 November 11-3.30 pm. To find out more and make a booking, please visit the Ruthin Craft Centre. Everyone welcome, come and bring your friends. The weather is looking good, and there will be coffee and tea and lots of cakes and lots of pots. Isabella, currently working at the pottery, will be doing a demo on the wheel, at 11 am and 3 pm. Last two weeks of exhibition in Swansea, do hope you catch it before it goes on to Ruthin; Opening October 1. 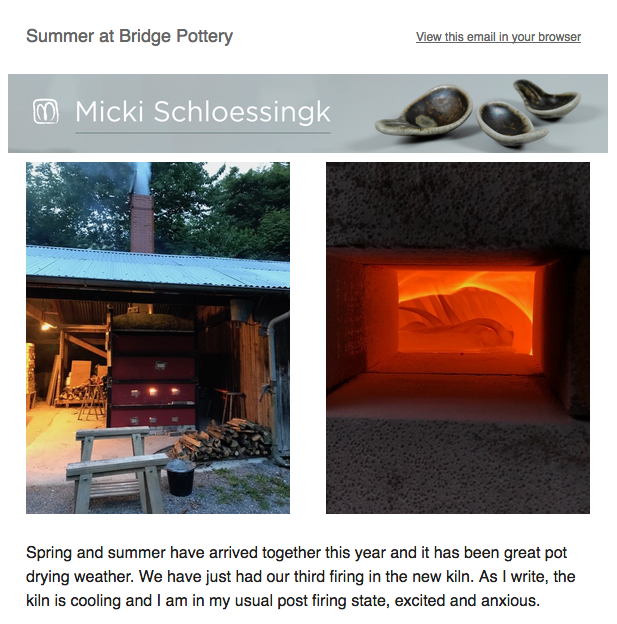 This is a wonderful opportunity for me to show some of the very best pots I have made over the last few firings. I have been peeling them off and stashing them away and only yesterday rediscovering them with Ceri. We had a monumental task choosing which to show first ! This exhibition will be touring throughout Wales during the next year. Opening next at Ruthin Craft Centre on October 1st. I have finally decided to go with my family name, in spite of its challenging spelling ! The old address will still take you to my current website for a while. I hope the website is running smoothly, it should now be visible on all devices ! I also have a facebook and instagram account. If you do notice any issues please let me know.